Google is making major updates to its search results. And if your company's website is not super mobile friendly, you could be losing some major hits! Not sure how your website ranks? Try using Google's Webmaster Tool to see how your site adds up. You can also use their Mobile-Friendly Test Tool to see just how "friendly" your site is. If Google says it's not so friendly, they will give you a list of options on how to proceed to the next step. Time is short to make these updates. 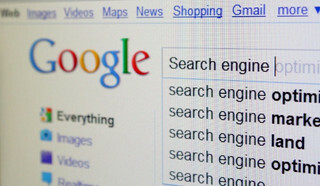 Google is already beginning to implement these changes, with the major impacts starting on April 21st. While you're updating your site's coding, take a look at your content. How effective is it? Have you been getting the results you need off of your website? When is the last time you changed your content? If it's pretty much the same content you started with, you should think about making some updates. Fresh content impacts your Google ratings as well, and a stagnant site will not get as much attention as one that has recently been updated. Also take a look at how professional your content is. Does it portray your business in the best possible manner? Or are there grammar issues? Typos? Elementary sentence styling? Can you tell that an amateur wrote it, or does it sound like you paid a lot of money for a true professional to write it? Does it relate to your audience, in their "language"? The answers to these questions are all important considerations. You don't just want a web presence. You want a web presence that will reach your target audience. You want a presence that will get you and your business true results! Your website is a reflection of your business and you want to appear as professional as possible. You want people to have confidence in your products and services. Believe it or not, if people are searching Google for a service, the "tone" of the site will determine whether if you get a call or not. If the site looks too amateurish, they will move on to the next one on the list. If all other considerations are the same between two businesses, people will pick the one with the better site, every time. If you're not sure if your content is at the standard it should be, contact us. Silverpen Productions does free consultations and estimates. Let us help you make your site the best it can possibly be and be sure that you stay at the top of Google's rankings, regardless of the upcoming changes!